Key West FL are abundant in Ladyfish, a cousin of the Tarpon but much, much smaller. Often referred to as the “poor man’s tarpon,” these small fish (usually not any larger than a few pounds), are used mostly as bait, with slender bodies and small scales. Although Ladyfish are extremely feisty and readily take bait and lures, they have small, sharp teeth and often form large schools. 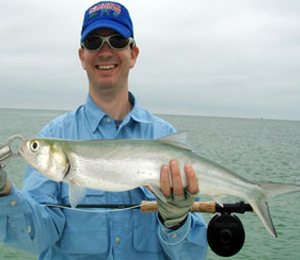 A Key West Flats Fishing, Key West Light Tackle Fishing, and Backcountry Fishing is where you will find the Ladyfish, as they are an inshore fish; occasionally found in bays, canals, lagoons, and tidal pools. They feed on smaller fish and crustaceans; and serve as excellent bait themselves for Tarpon, Snook, Barracuda, and Sharks. You only need light boat tackle with 10 to 20 in the main line and fish bait is the best to use on Ladyfish. Using top water plugs and jigs are also an option for this acrobatic fish. This great Key West FL and Gulf of Mexico game fish spends more time in the air than in the water once hooked, and its agility and fight will surprise the naïve fisher. It is known to skip along the water’s surface once hooked. The numerous bones in the Ladyfish’s body make them inedible and should be used only as a sporting fish. 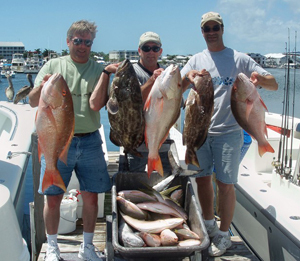 There are many places to fish in the world, but no other place offers the variety of fishing opportunities that Key West FL offers! 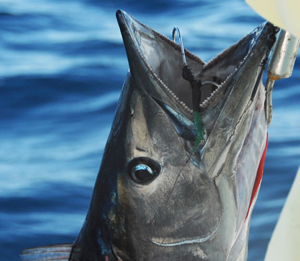 From Light Tackle Fishing to Flats Fishing, Sunset Shark and Tarpon Trips and Gulf Shrimp Boat Charters, we offer every opportunity for anglers of all skill levels to enjoy fishing in Key West. 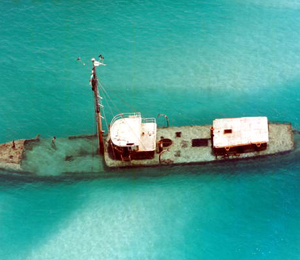 Heavy tackle, fly fishing and Fishing the Gulf of Mexico Wrecks are all opportunities for major family fun!